It’s that time of year, candy is everywhere! Which makes it the perfect time for a little candy science. Kids love these activities. They are bright, colorful, easy and the results sure to impress. Plus you get to enjoy a few sweets while doing science, and that’s always a good thing. 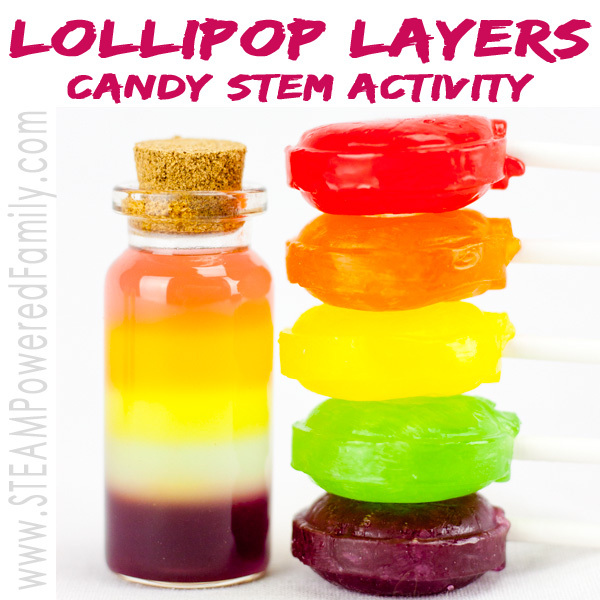 With the big focus on candy at this time of year, it was an easy decision to chose candy science as my topic this month over at 123 Homeschool 4 Me. I chose an activity that is easy, fun, colorful and it smells amazing! Check it out. 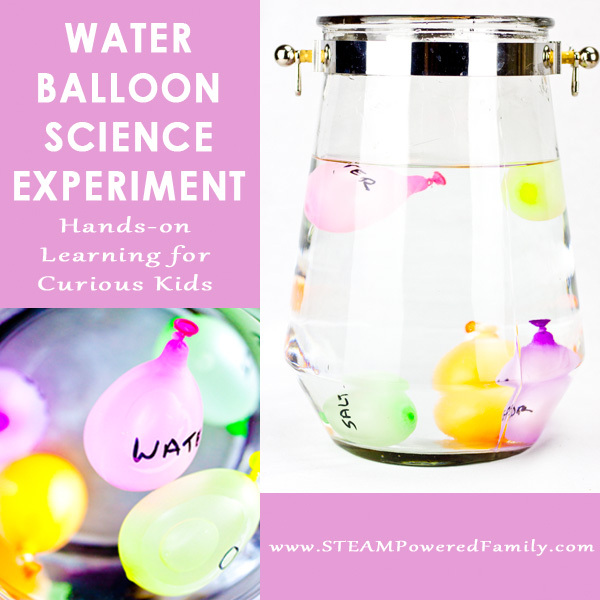 It’s a fantastic way to start experimenting with candy science for all ages. 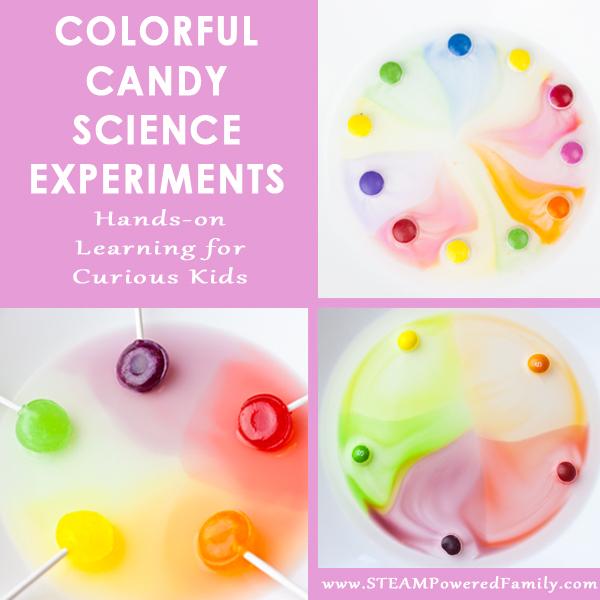 Once you are finished with those experiments you can check out these candy science activities. Building on the concepts introduced through the activities at 123 Homeschool 4 Me, we built a gorgeous density layers project we called Lollipop Layers. A great way to incorporate history and science is through our Gummy Mummies experiment were we explore desiccation and mummification. 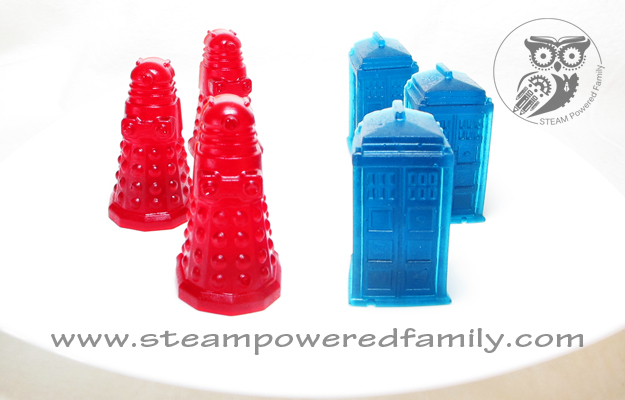 Why not try your hand at making some of your own candies? With our simple gummy recipe you can make yummy treats that are sure to be a hit, while also learning about polymers. 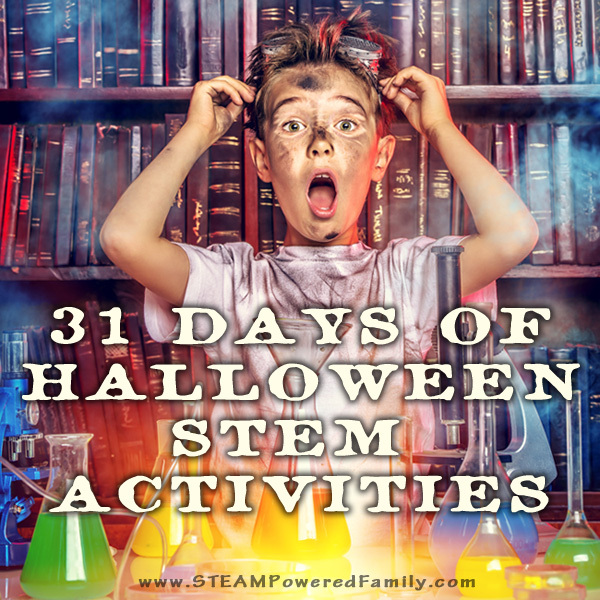 Still looking for more Candy Science ideas? 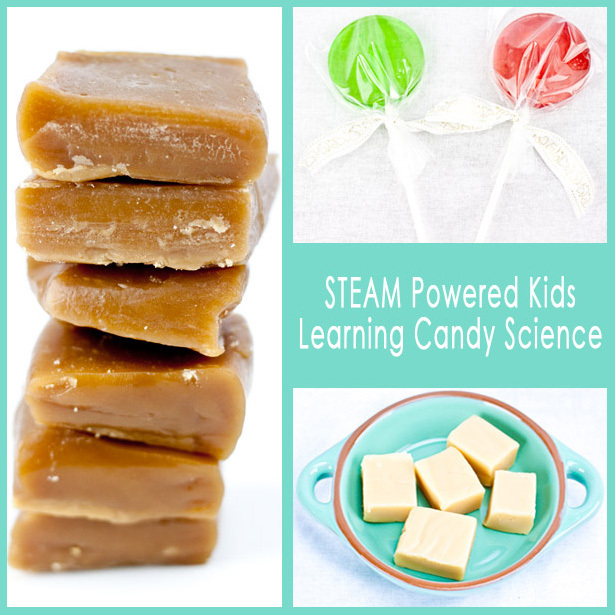 The second book in the series, STEAM Powered Kids, Learning Candy Science is coming soon! Packaged as a convenient, themed unit study of candy science, it will be released soon. Sign up to the STEAM Powered Family mailing list to be the first to hear about it’s release and any special offers. 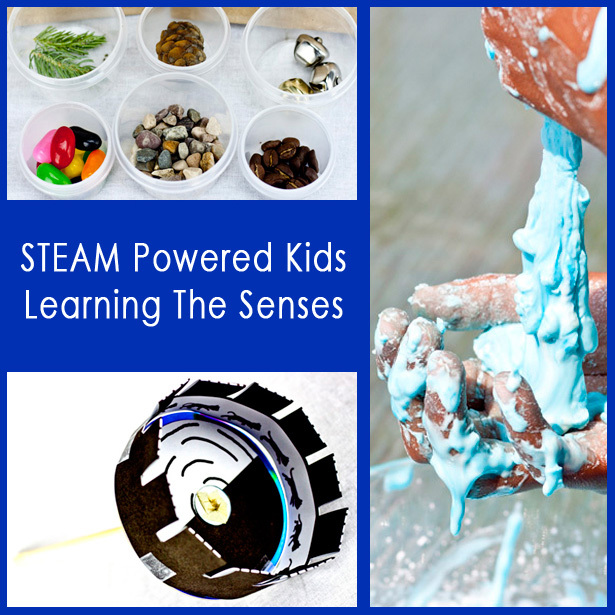 The first book in the STEAM Powered Kids series, Learning the Senses, releases this month. Don’t miss this resource that powers up learning. 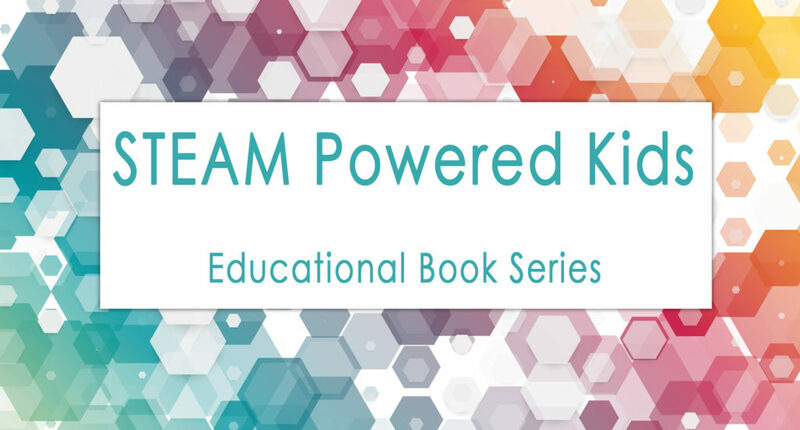 Each book in the STEAM Powered Kids series is a themed unit study that includes lessons, activities, vocabulary, journals, worksheets, games and more. All for less than $10! 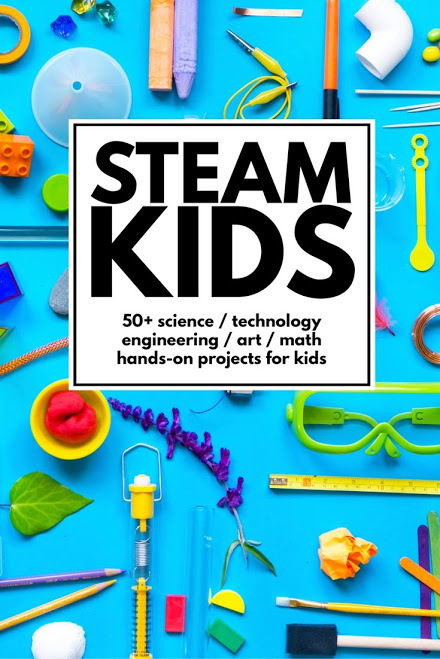 Designed for educators, it’s the perfect resource to STEAM power your lessons. THE FIRST INSTALLMENT IS COMING THIS MONTH!